The price is for x2 units of the transistor IRLR2905. Mondeo 2.0 TDDi 10/2000 - 08/2002 Bosch VP Bosch Part Number 0470 504 021 - 024. A6 2.5 TDI 06/01 - 05/04 Diesel Bosch Part Number 0470 506 030. A6 2.5 TDI Avant 06/01 - 08/05 Diesel Bosch Part Number 0470 506 030. 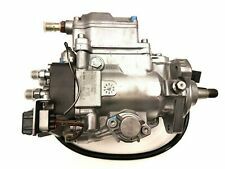 Vw T4 2.5tdi diesel pump 460 415 996. Condition is Used. Dispatched with Royal Mail 2nd Class. Removed from a running 1998/99 T4 . It would appear to be a remanufactured unit judging by the yellow dots on the pump,how ever i have no paperwork to prove this and as such you must make your own judgement. Condition is as seen in the photos,has not been cleaned up to make it appear nicer than it is. Please check all part numbers in the photos to be sure it is the correct part for your vehicle. Post to UK mainland only. FORD FOCUS III 2.0 ST Hatchback Petrol 07/2012 on FWD 16 250 184. Fuel Mixture Formation: Petrol Injection. FORD FOCUS III Turnier 2.0 ST Estate Petrol 07/2012 on FWD 16 250 184. FORD GALAXY (WA6) 2.0 EcoBoost MPV Petrol 03/2010 06/2015 FWD 16 203 149. Bosch 0580254040. VW Golf Mk.2. Boxed in different make boxes but are Bosch Units. Electrical Fuel Pump - In Tank. 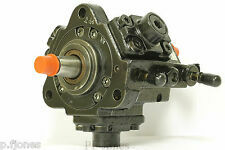 IF THE PART NUMBER ON YOUR PUMP READS 0460494462 AND TYPDWBP11 THEN THIS PUMP WILL FIT YOUR VEHICLE. 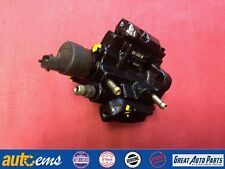 For sale is this second hand Citroen Berlingo 1.9 Diesel High Pressure Fuel Injection Pump. TO CHECK THIS PART FITS, YOU NEED TO GET THE OLD PUMP OUT FIRST AND READ THE PART NUMBER FROM IT. BOSCH Pressure Regulator 0281002241. Fuel Pump Electronics. Fuel Filters. Fuel Quality. Useful Links. New Bosch Diesel Fuel Pump 0445010511. Bosch Diesel Injectors. - Diesel Injectors. Other Diesel Injectors. Bosch Diesel Valves. Delphi Diesel Injectors. Denso Diesel Injectors. - Diesel Filters. IF UNSURE WITH YOUR ORDERING OR IN NEED OF GENERAL INFORMATION WITH REGARDS TO YOUR ORDER GET IN TOUCH. WE HAVE SECURITY MARKED OUR PART TO PREVENT ANY WRONG DOINGS (INCLUDING SCAMS.). VEHICLE: FIAT BRAVA. LISTED ITEM: IN TANK FUEL PUMP & SENDER UNIT. Dvla approved End of life vehicle centre. PART NO: 0580 313 022. ITEM MAY SHOW SIGNS OF WEAR & TEAR. VOLVO S60 S80 V70 XC70 XC90 D5 / DIESEL IN TANK FUEL PUMP. REMOVED FROM VOLVO XC90 D5 185BHP 2005. S60 AND V70 2000-2004. XC90 2002-2006. S80 1999-2003. S70 AND V70 1997-2000. V70 2004-2007. VOLVO PART NR.